The Smithfield S Halo from Flos is the modern interpretation of traditional market lights which are to be found at the London Smithfield Market. The noble British name aptly describes the aesthetic value of this elegant pendant light that develops an extraordinary presence thanks to its reduced and distinguished design. Its expressive appearance makes the Flos Smithfield S Halo a stylish eye-catcher. As such, this pendant lamp represents an elegant highlight that is an enrichment for the entire room. The Smithfield was designed by Jasper Morrison. The British designer is well-known for his discreet and functional style. Jasper Morrison designed the Smithfield S Halo Dining table lamps in 2009 for the manufacturer Flos. Below its shade, the Smithfield hides an R7s socket which can be, for instance, equipped with a halogen lamp. The Smithfield reminds us of a traditional market light; a diffuser made of opaline methacrylate ensures a smooth lighting. 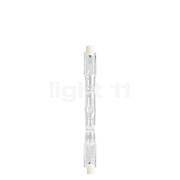 The 400 cm long power cable made of PTFE (polytetrafluoroethylene) has three cores and is provided with a double insulation. The Flos Smithfield S Halo softly diffuses its light downwards. 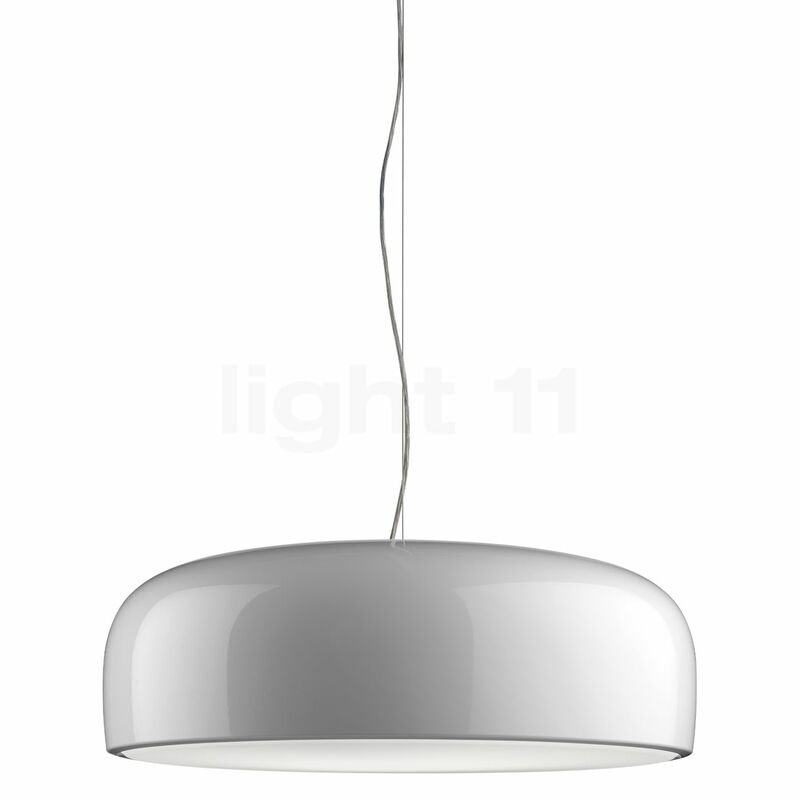 For an increased glare control and a soft diffusion of the light, the bottom aperture of the aluminium lampshade is covered by an injection-moulded diffuser made of opal methacrylate. This way, a pleasant ambience is created that invites you to sit back and relax. 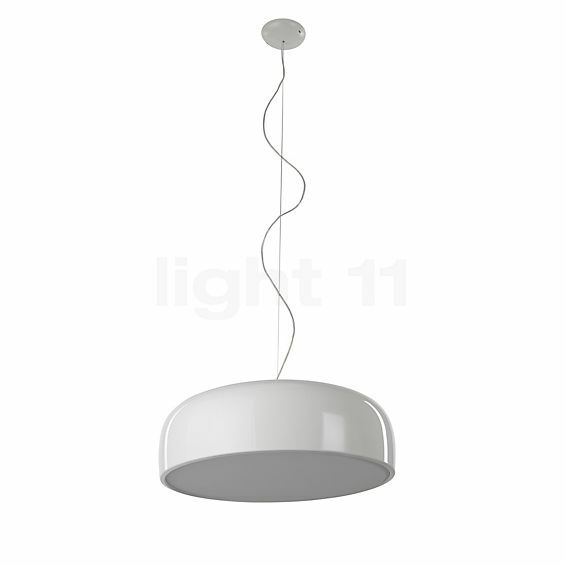 Furthermore, this pendant light from Flos is supplied including the respective lamps. A 230 W halogen rod produces an impressive light output of 5,000 lumens and the light additionally impresses by its brilliant colour rendering. With this light intensity the Smithfield outperforms the brightness achieved by a conventional 300 W incandescent light bulb. Tell other customers and us about your experiences with the Smithfield S Halo ! A dining table in the kitchen or the dining room is ideally suited to demonstrate further benefits of the Smithfield S Halo from Flos. Here, the warm-white zone light that is softly emitted downwards by this tasteful pendant light makes every meal look like it was a festive dinner. Moreover, it is ensured that the persons sitting around the table may enjoy their meal in a perfectly glare-free, subdued light. This means that a harmonious time in the dining room is guaranteed. The Flos Smithfield S Halo is also a popular solution above a coffee table in the living room where this combination of visual excellence and pleasant lighting effect ideally comes into its own.